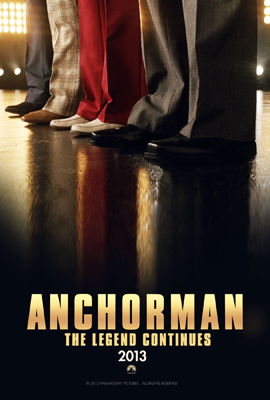 We’re giving away passes to an advance screening of Anchorman 2: The Legend Continues, starring Will Ferrell, Christina Applegate, and Paul Rudd. To enter, e-mail us at contests@cinedelphia.com and tell us why you want to go! Winners will be chosen at random, only one entry per household please! I would like to go because I am, in fact, an anchorman.